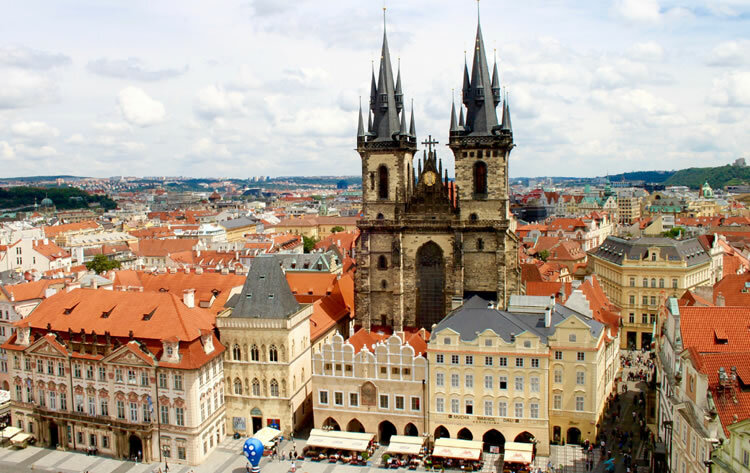 In MH we still have a commitment to offer the best accommodation to all the people who visit Praga. For that reason, in addition to our apartments in Prague, we are pleased to introduce you our new hotel. Welcome to MH Suites Palace Hotel! An exclusive hotel in the centre of Prague! Located in the centre of Prague, our new hotel is designed taking care of every detail. 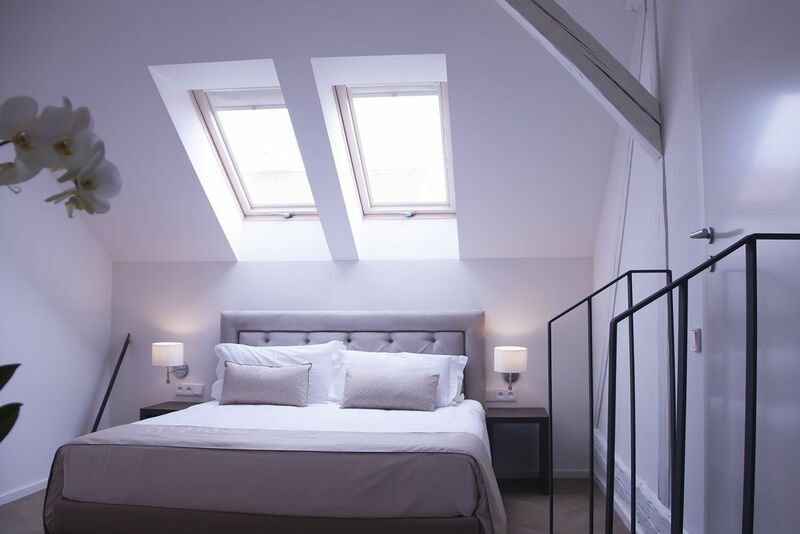 Our guests will enjoy our complete catalogue of rooms adapted to the needs of each of them. You will find your perfect suite whether you come alone or accompanied by your partner, family or group of friends. In MH Suites Palace you will find your perfect suite in Prague! Double room MH Suites Palace Hotel in Prague. Its perfect location plus a fantastic quality-price ratio in all our suites, that also have a set of first quality services to make you feel at home. Daily cleaning, welcome coffee at reception, buffet breakfast service, free WiFi or 24h customer service are some of the services we will offer you during your stay in Prague with us. Our MH Suites Palace Hotel is located in the centre of Prague, in Nove Mesto (Halkóva). In other words: the new city in Prague. However, despite being the most modern area of the city, Nove Mesto streets take us back to medieval times (14th century). Nove Mesto has several areas of interest, all of them esential if you visit Prague: Wenceslas Square, the Estate Opera (the most important in the city), the National Theatre or the famous Dancing House. Designed by Frank Gehry in 1997, is one of the icons of the city. Located in the heart of Europe and popularly known as the Golden City or City of 100 Towers, Pague is one of the twenty most visited cities in the world today. Prague has a special atmosphere that can be breathed between its streets full of palace, towers, castles, churches and medieval bridges. Its historic centre, declared a World Heritage Site in 1992, houses buildings, corners and monuments that take us back to medieval times. 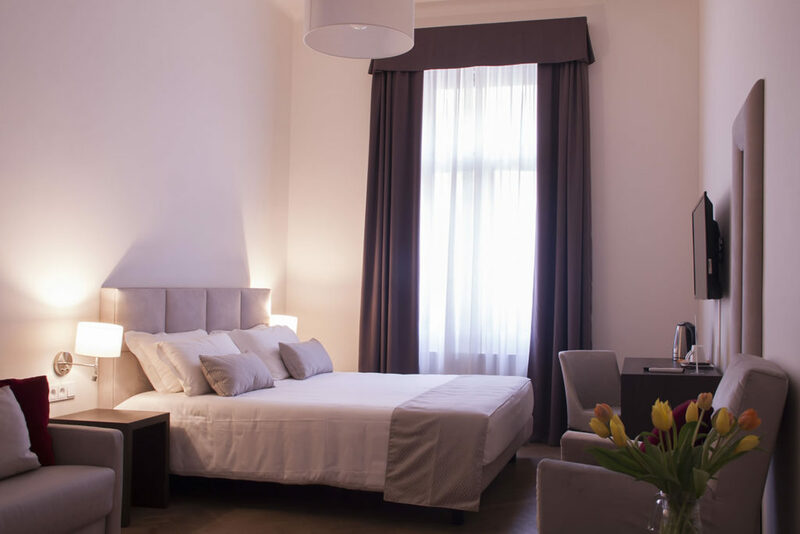 If you are looking for accommodation in Prague, in MH Suites Palace we offer you the most complete catalogue of rooms, all of them spacious, cosy and exquisitely decorated. Make the most of the many tourist and lodging possibilities that Prague offers you and live a unique experience. Welcome to MH Suites Palace!